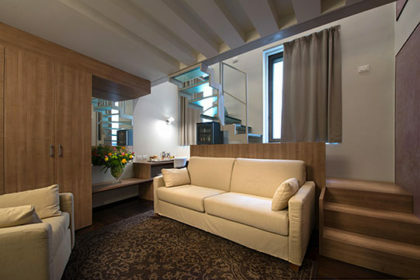 Hotel Palladio is located in the city center of Vicenza, right near by the Basilica Palladiana and the Teatro Olimpico. Vicenza is in a strategic position to visit Veneto, as it is located about halfway between Verona and Padua. Even going to Venice is quite easy. 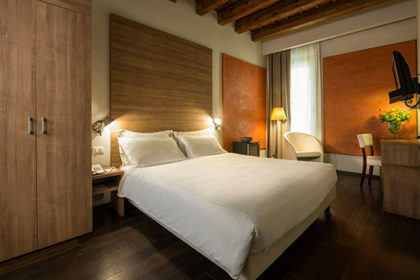 The city of Vicenza is about one hour far by car and only 45 minutes by train from Venice.